All information submitted through our online teacher registration form is protected to ensure your privacy. 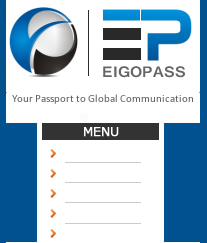 EigoPass will not share your information to other third party organizations without your consent. Anyone can visit the EigoPass website without providing important personal information as a condition to view our webpage. When you sumit your personal profile on our registration form, this information will only be used to find students for you. We may contact you for further information if it is necessary to better help you find students. When a student chooses you as their instructor and you agree to take the student, your contact information will be given to the student so that they can contact you regarding lessons. By submitting your profile, you are also certifying that you have a valid visa and are permitted to work and are not restricted in any way in accepting students to teach in your spare time. Should at any time that you wish to remove your profile or revise any information provided, please contact us right away.